No, I’m not a basket case, but I do need to make a case for owning a basket-bag. 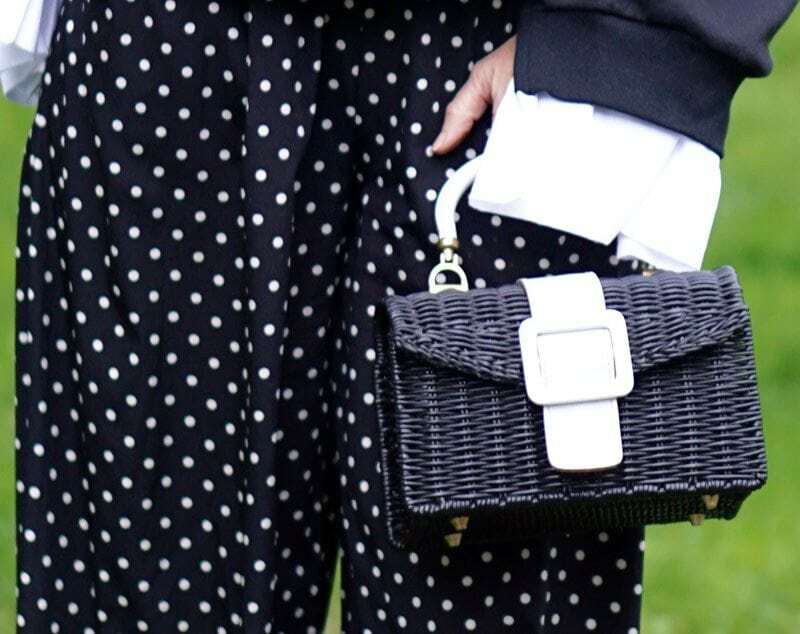 The basket-bag, or wicker bag, is an essential summer handbag. They aren’t just for picnics anymore. They have officially entered the realm of high-fashion. I have several wicker handbags, but most of them are vintage. I just love the search for that one-of-a kind bag. But if you aren’t into hunting for that perfect vintage basket-bag, no worries. There are so many fabulous current styles to choose from. I came across this Etienne Aigner bag at a neighborhood garage sale. It’s in mint condition. 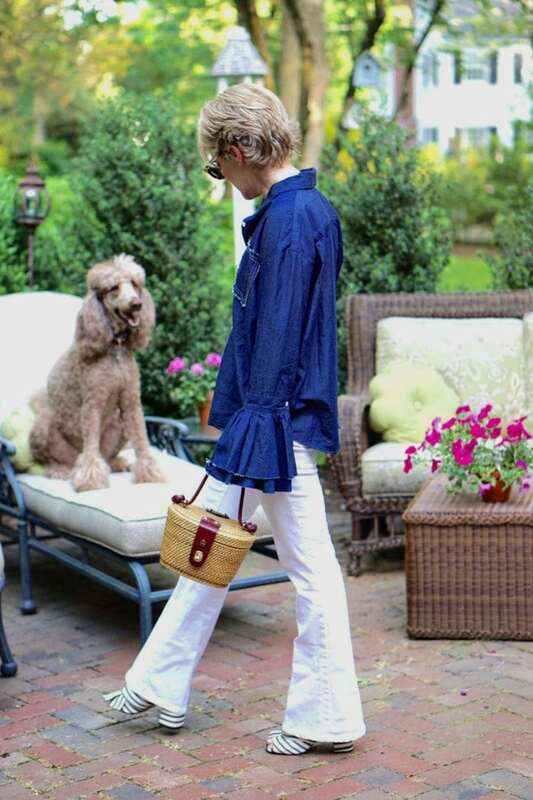 Oh, and if you didn’t notice, my dog, Margaux, and I are both sporting bell sleeves! 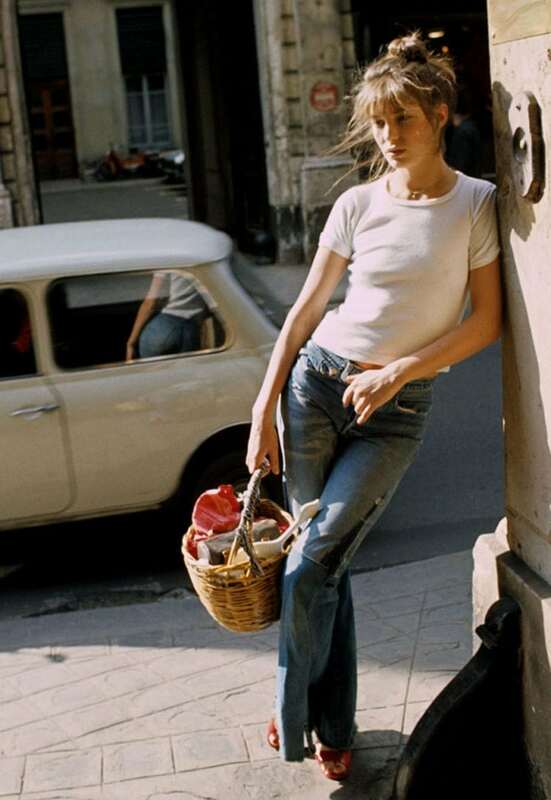 Jane Birkin, one of my favorite style icons, really started the whole basket-bag thing. 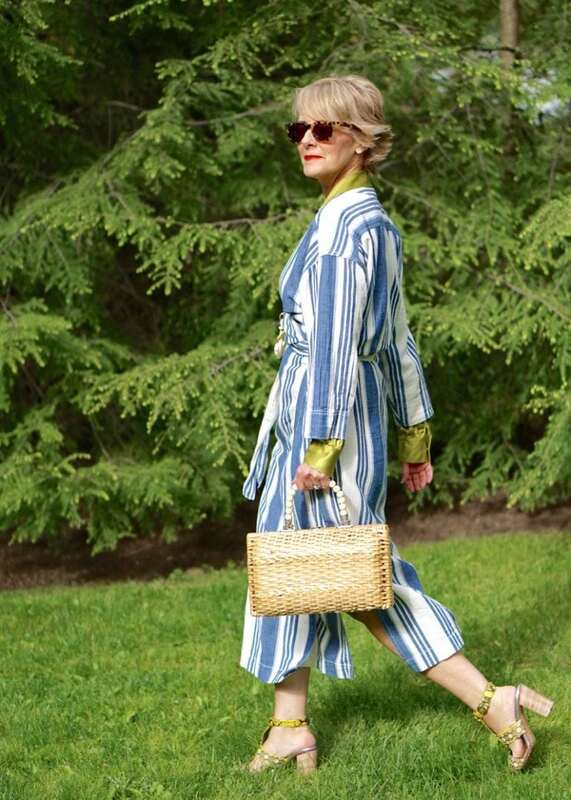 Her basket, which she wore with everything, was the ultimate in Parisian cool. This adorable black bag, which I found on Ebay, has a twin that is white with brown accents. I found this versatile wicker bag at the Brimfield flea market in Massachusetts, which I travel to once a year. It’s a treasure trove of vintage basket-bags. 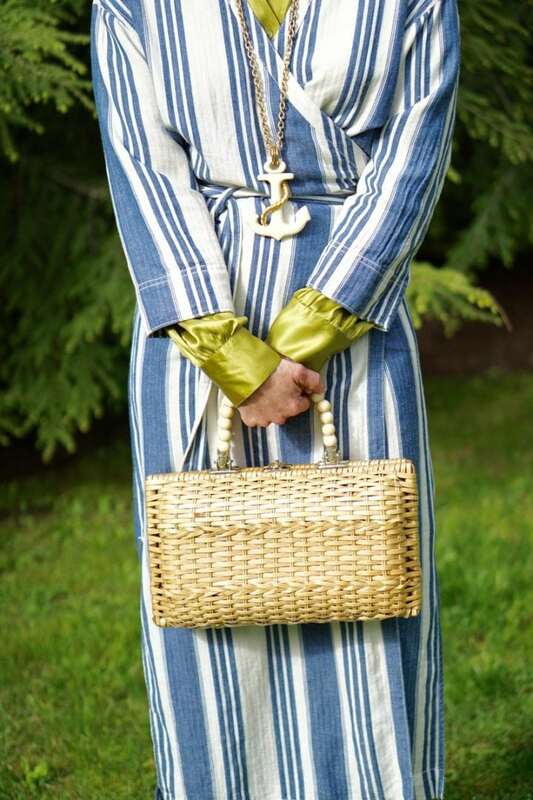 A basket-bag is definitely an accessory you want to own. So, if you don’t already have one put it on your shopping list. They add a little twist and a little whimsy to any warm weather look. And carrying one is tres chic! Did I make the case? Been rocking basket bags for decades. Most days are a basket day. Some days are a 3 basket day, depending on what needs toting to various appointments. Have stunning collection of fabric squares to top the baskets for privacy. My sister told me, about 3 years ago, a woman my age was ridiculous carrying a basket. Then I saw the Dowager Duchess of Devonshire buried in a wicker coffin. New scope, yes? Only have a single vintage ‘basket’ purse. It’s styled like a small treasure chest, and woven with metal strips to look like wood. It is divine. Off topic, love your haircut. Yes, I was shocked when I saw that photograph. I believe the theory behind that is that it is a more natural way of being buried. Kinda of dust to dust. It all degrades. Does take some getting used to. Why thank you Tara. I used to have long hair, cut it short after having a baby and haven’t looked back! I need see this wicker coffin, so funny. Now that is going out in style!! I’ve always loved basket bags and I have several of them. Love this post and the whole outfit, the denim bell sleeve top is gorgeous ! Thank you Chuky, so glad to meet a fellow basket bag lover! I’m way behind the times because I’ve never had a basket bag. These are really cute. They are there for the picking Shelley, you would love having one! I have a Kate Spade basket bag from YEARS ago…if I can still find it! And I love that denim top with the flared sleeves, too. Do tell, Cherie…who makes it? Love basket bags. Yes, mine are vintage also. They are so much more creative. Not the same brands seen all over the place. That is exactly the reason I shop vintage handbags, rarely have I seen two of the same. So glad you love them, thank you Sandra! TO FUR OR NOT TO FUR?